This article is composed of two parts. The first part is aimed at providing an overview on the kinetic description of random nonlinear waves considering the one-dimensional nonlinear Schrödinger (NLS) equation as a representative model of optical wave propagation. We expose, in particular, the key problem of achieving a closure of the infinite hierarchy of moment equations for the random field. The hierarchy is closed at the first order when the statistics of the random wave is non-stationary or when the response time of the nonlinearity is non-instantaneous, which, respectively, leads to the Vlasov kinetic equation and the weak-Langmuir turbulence equation. When the amount of non-stationary statistics is comparable to the amount of non-instantaneous nonlinearity, we derive a generalized Vlasov–Langmuir equation that provides a unified formulation of the Vlasov and Langmuir approaches. On the other hand, when the statistics of the random wave is stationary and the nonlinear response instantaneous, the closure of the hierarchy of moment equations requires a second-order perturbation expansion procedure, which leads to the Hasselmann (or wave turbulence) kinetic equation. Contrarily to the Vlasov and Langmuir equations, the Hasselmann equation is irreversible, a feature which is expressed by a H-theorem of entropy growth that describes wave thermalization toward the thermodynamic equilibrium distribution, i.e. the Rayleigh–Jeans (RJ) spectrum. 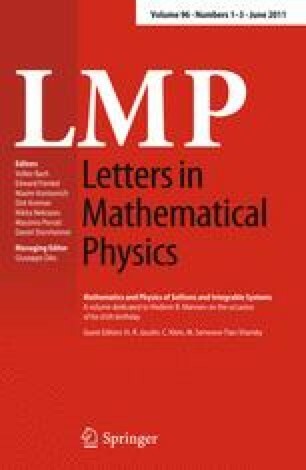 In the second part of the paper, we discuss a process of anomalous thermalization by considering the example of the scalar NLS equation whose integrability is broken by the presence of third-order dispersion. The anomalous thermalization is characterized by an irreversible evolution of the wave toward an equilibrium state of a fundamental different nature than the conventional RJ equilibrium state. The wave turbulence kinetic equation reveals that the anomalous thermalization is due to the existence of a local invariant in frequency space J ω, which originates in degenerate resonances of the system. In contrast to integral invariants that lead to a generalized RJ distribution, here, it is the local nature of the invariant J ω that makes the new equilibrium states fundamentally different than the usual RJ equilibrium states. We study in detail the anomalous thermalization by means of numerical simulations of the NLS equation and of the wave turbulence equation by using an improved criterion of applicability of the kinetic theory. The spectrum of the field is shown to exhibit an intriguing asymmetric deformation, which is characterized by the unexpected emergence of a constant spectral pedestal in the long-term evolution of the field. It turns out that the local invariant J ω explains all the essential properties of the anomalous thermalization of the wave.